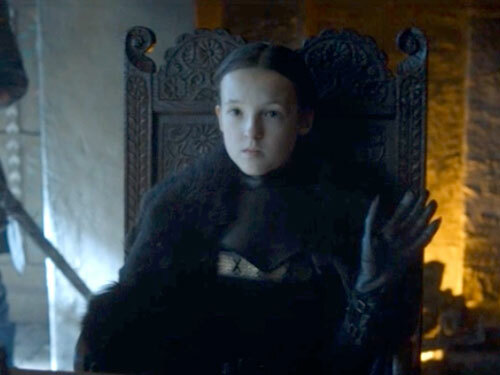 Last night, we were blessed with an introduction to the latest (and maybe best) Game of Thrones hero yet, the 10-year-old ruler of Bear Island, Lyanna Mormont (cousin of Daenerys’ Jorah Mormont, FYI). 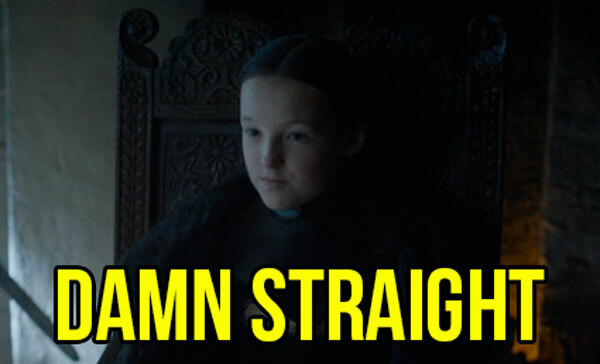 Basically, Lyanna Mormont had the best responses to everyone, everytime, and fans were looooving it. OH! And let’s not forget this iconic move that we can’t wait to use ourselves IRL. 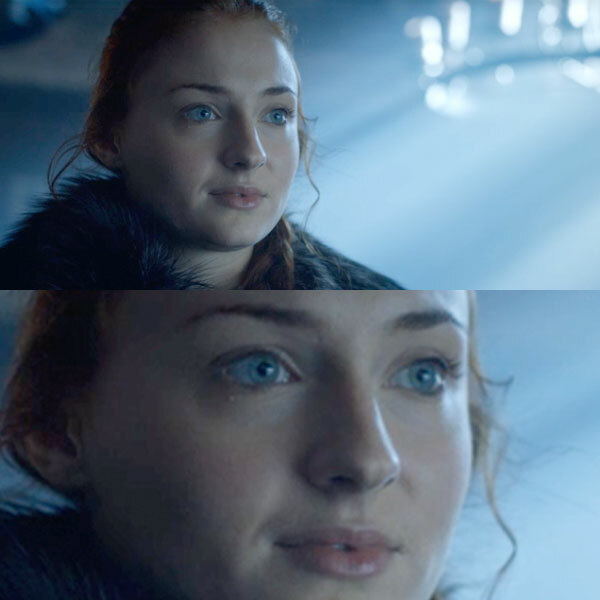 Lucky for Jon and Sansa, though, Ser Davos (and his wise ways), was able to win over the little ruler and get her to join forces with the triumvirate. Albeit, with just 62 men. Though they were clearly still very grateful.